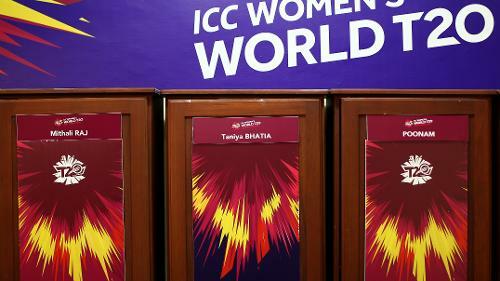 General view of the India dressing room during the ICC Women's World T20 2018 match between India and Australia at Guyana National Stadium on November 17, 2018 in Providence, Guyana. Harmanpreet Kaur of India arrives with her team during the ICC Women's World T20 2018 match between India and Australia at Guyana National Stadium on November 17, 2018 in Providence, Guyana. 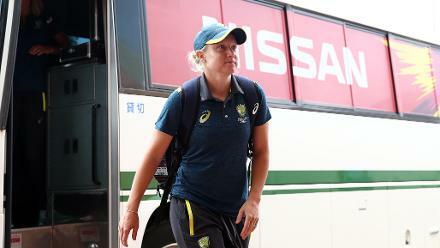 Alyssa Healy of Australia arrives with her team mates during the ICC Women's World T20 2018 match between India and Australia at Guyana National Stadium on November 17, 2018 in Providence, Guyana. 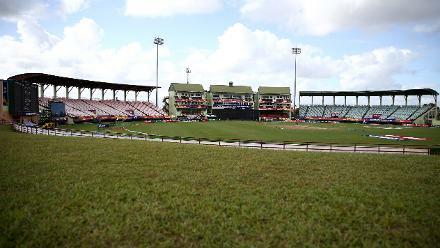 General stadium view during the ICC Women's World T20 2018 match between India and Australia at Guyana National Stadium on November 17, 2018 in Providence, Guyana. General view of the Australia dressing room during the ICC Women's World T20 2018 match between India and Australia at Guyana National Stadium on November 17, 2018 in Providence, Guyana. 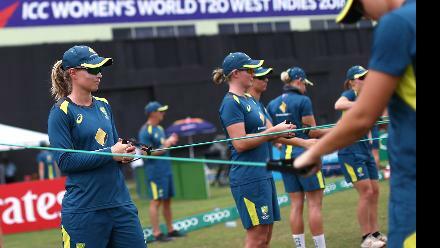 Australia players warm up during the ICC Women's World T20 2018 match between India and Australia at Guyana National Stadium on November 17, 2018 in Providence, Guyana. India players warm up during the ICC Women's World T20 2018 match between India and Australia at Guyana National Stadium on November 17, 2018 in Providence, Guyana. 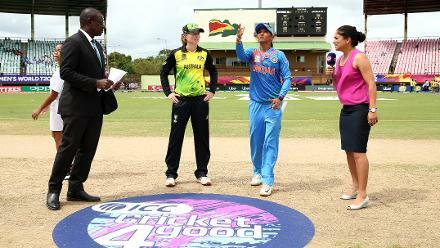 Harmanpreet Kaur of India and Meg Lanning of Australia take part in the coin toss during the ICC Women's World T20 2018 match between India and Australia at Guyana National Stadium on November 17, 2018 in Providence, Guyana. 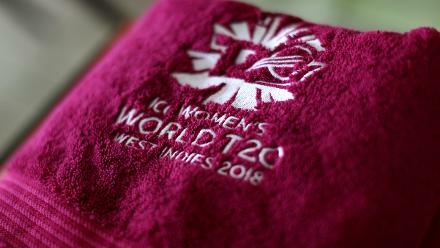 Megan Schutt of Australia chooses the match ball for Australia during the ICC Women's World T20 2018 match between India and Australia at Guyana National Stadium on November 17, 2018 in Providence, Guyana. 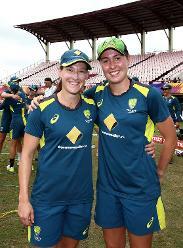 Tayla Vlaeminck of Australia receives her first cap from team mate Megan Schutt(L) during the ICC Women's World T20 2018 match between India and Australia at Guyana National Stadium on November 17, 2018 in Providence, Guyana.